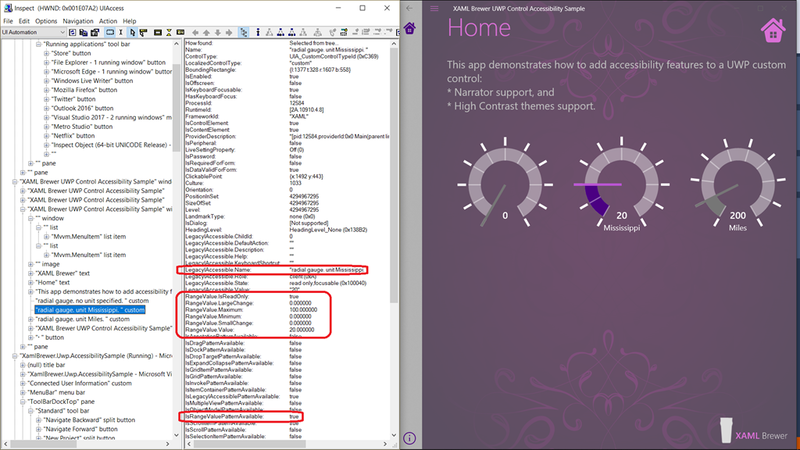 We’ll use the Radial Gauge control from Windows Community Toolkit as an example – the High Contrast and Narrator code in this article was recently merged into the source. 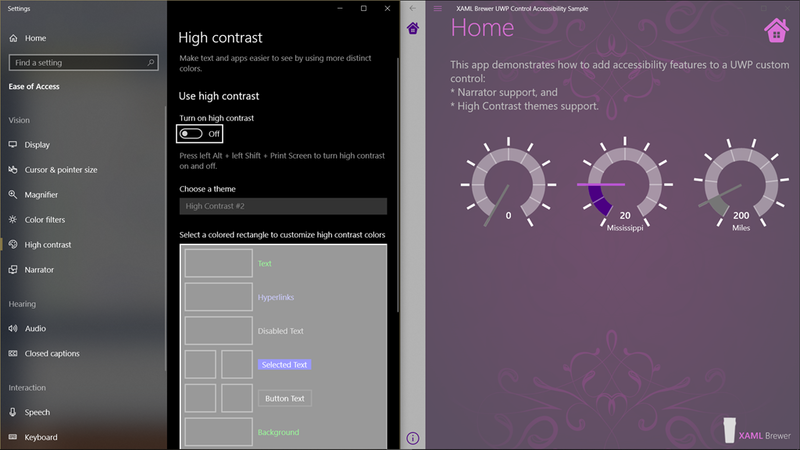 With Settings –> Ease of access –> High Contrast, a Windows user can switch his color scheme to a small palette of contrasting colors. There may be medical reasons for this (like cataract or diabetic retinopathy) but it could also be set as to deal with working conditions (like direct sunlight on the screen, or insufficient lighting). 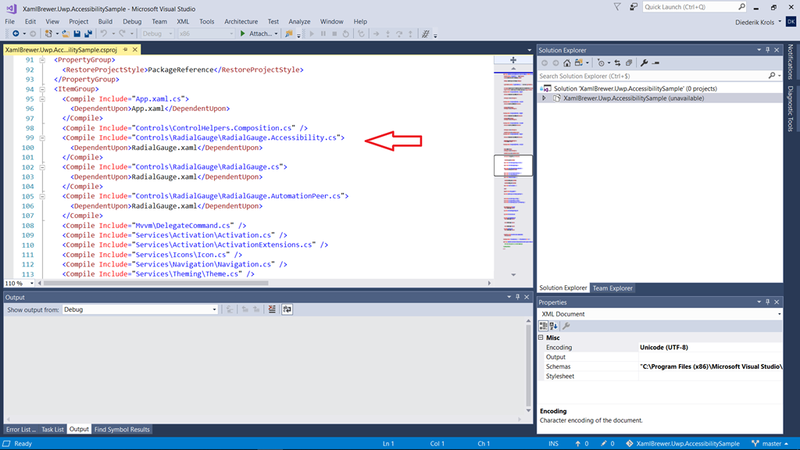 to provide a similar behavior for the XAML elements that you write yourself: pages and custom controls. Basically this boils down to never hard coding colors. 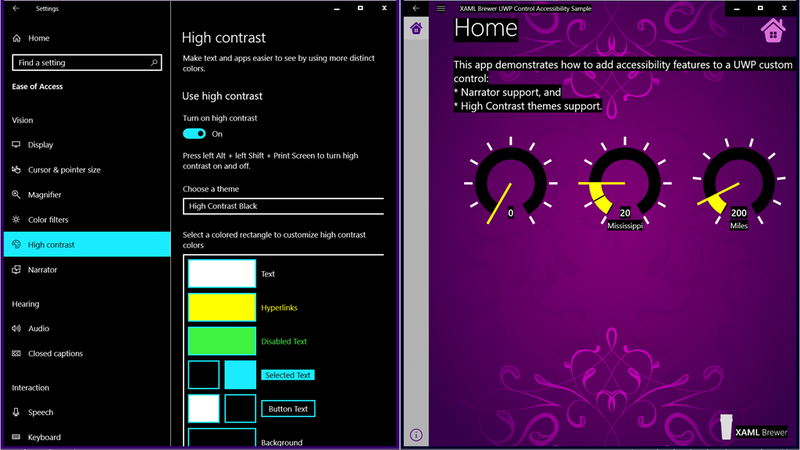 The control now supports High contrast themes, and we didn’t even need to change the code behind. 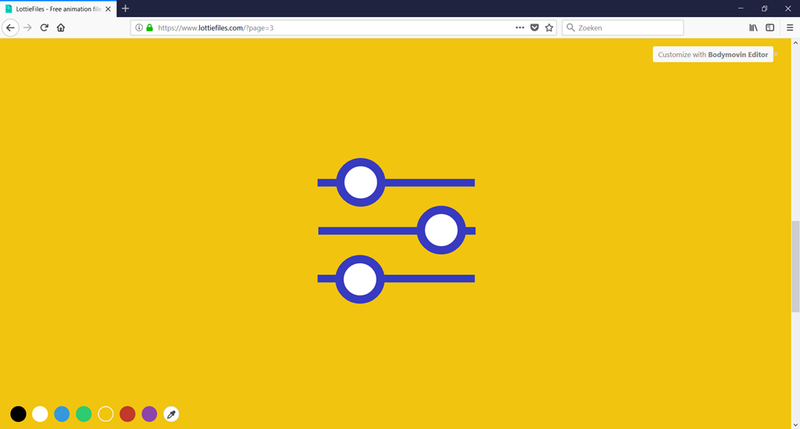 When a developer places our control on a page, he can locally assign brushes to the control’s color settings – after all that’s why we decorated it with properties. It makes sense for the control to ignore these assignments when a High Contrast theme is applied. For that we need to detect whether we’re in High contrast mode or not, and find a way to get notified when the user enables or disables the feature. // Apply High Contrast Theme. // Apply User Defined or Default Theme. For a deeper dive into Dependency Properties, check this documentation. Another way to improve the accessibility of a custom UWP control is to provide screen reader support. 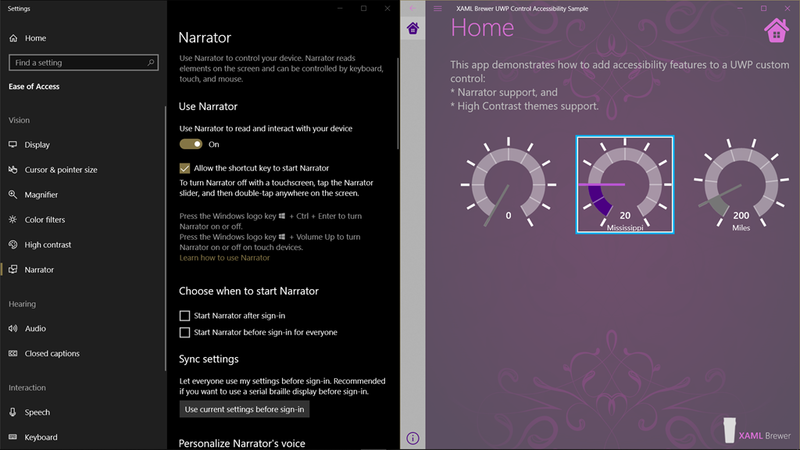 Narrator lets you use your device to complete common tasks without mouse or touch input. It reads and interacts with elements on the screen, like text and buttons. Of course that only works if you stick to a protocol. That protocol is Microsoft UI Automation, an API in Windows that enables your apps to provide (and consume) programmatic information about its user interface. Providing programmatic access to most UI elements on the desktop enables assistive technology products, such as Narrator and Magnifier, to provide this information to the end users, e.g. by speech. 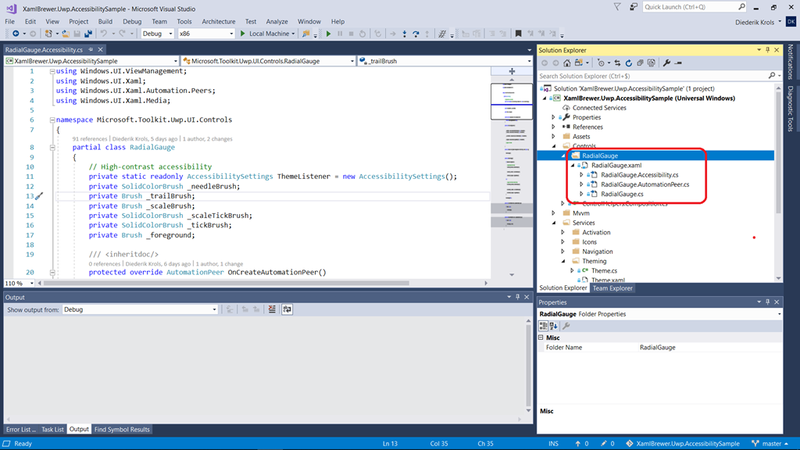 An Automation Peer is a class that helps exposing the content of a UI element class to Windows UI Automation. It ensures that the UI Automation Tree does not have to rely on high-level assumptions, so it improves the service of components like Narrator and Magnifier. Tip: provide punctuation and pauses (blanks) in the result string to create a natural description. When Narrator reads the screen, it respects all of these. I just want to point out that the type comes from the AutomationControlType enumeration. So you can not add your own here, but you can still expose a lot more details of your control. To find out more details about your control, Windows Automation will call GetPatternCore() a few times to see if it supports some protocols. One of these protocols is RangeValue which describes the controls that have a Value that is between a Minimum and a Maximum, controls such as … the RadialGauge. This article described three techniques to improve the accessibility of a UWP Custom Control. 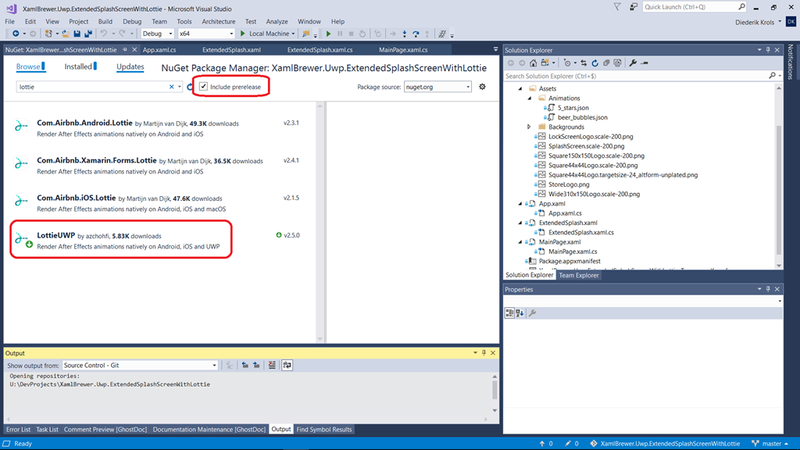 If you want to know more on this topic, check this excellent starting page on the DevCenter. You’ll quickly learn that spending some time and effort on accessibility makes your controls and apps better for everyone. If you want to play with the code, the small sample app with the accessible RadialGauge lives here on GitHub. 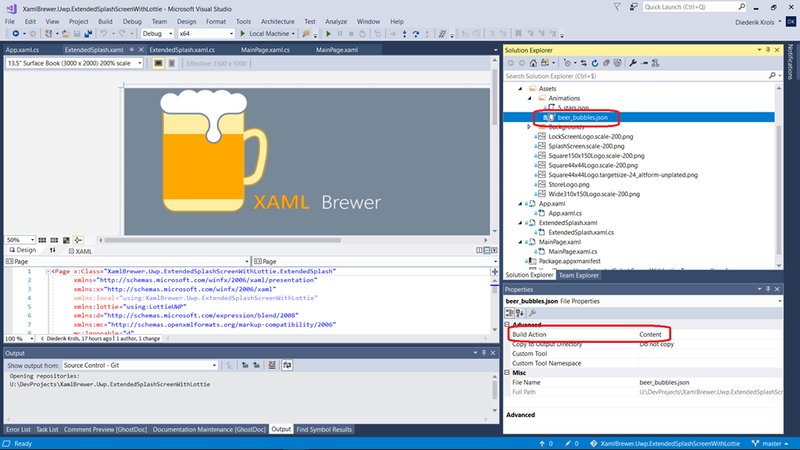 This entry was posted in User Controls, UWP, UX on October 30, 2018 by xamlbrewer. 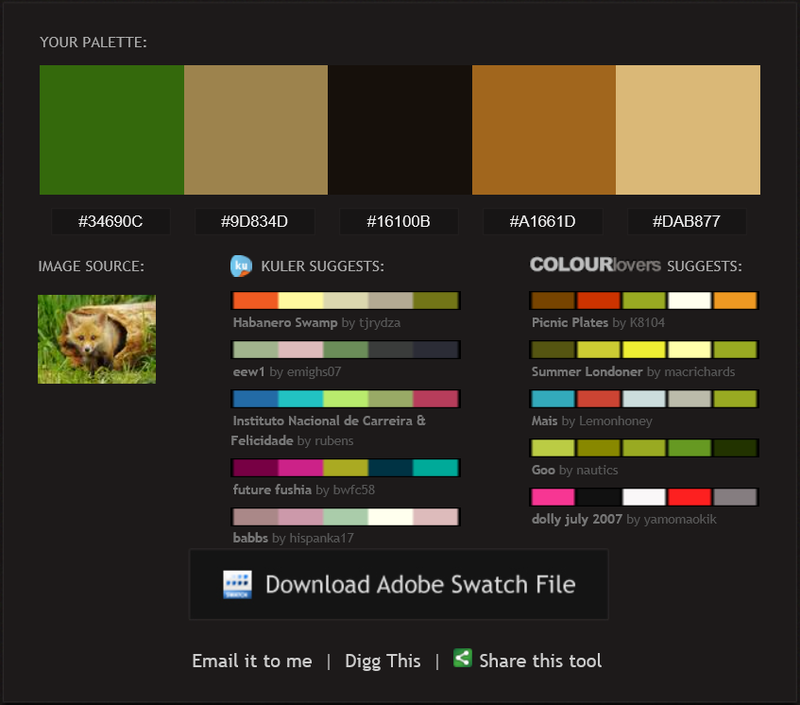 There are a lot of good free web sites that can create a group of matching colors for you. 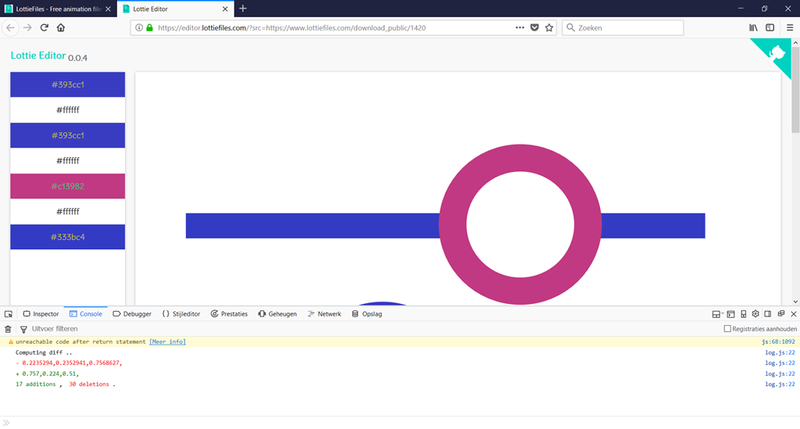 While it’s nice to go online and create such a palette, it’s another thing to transform a –sometimes lengthy- list of colors on an HTML page into something that can be used in XAML, e.g. a list of brush definitions. Luckily, most of these web sites have one thing in common: they allow you to export the color palette to a so-called Color Swatch. That’s an Adobe Photoshop file format for storing a list of named colors. Photoshop uses the .aco extension for this file type. In this blog post, I’ll introduce you to some of these web sites, and I also present a Portable Class Library project together with a Universal Windows Platform app to read a Color Swatch, and export its content to a list of XAML SolidColorBrush definitions that you can use as a resource. 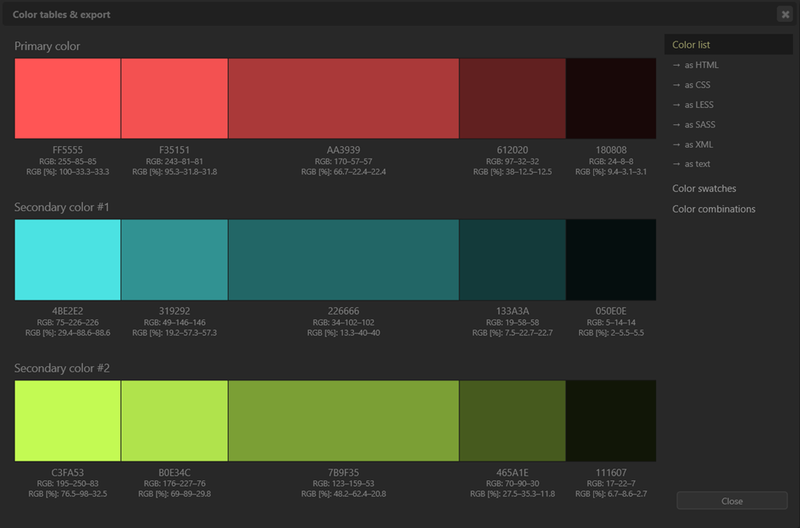 Here are some approaches that you can take to come up with a consistent color palette for your app. In the mathematical approach, you hand pick one or two primary colors and calculate the rest of the palette. This calculation is based on the position of the colors in a color wheel. The generated theme will contain your selected base colors, plus their adjacent (a.k.a. analog or harmonious) colors or triad colors or tetrad colors, and optionally their complementary color. There is a lot more in color theory and color psychology than just the color wheel: warmth, shades, tints, hue, and so on. But unless you are a talented designer, a color palette based on the color wheel will have better harmony and contrast (and hence will be better perceived by your users) than a random set of hand picked colors. A second approach for generating a color scheme is analyzing the pixels of an image that you find attractive. 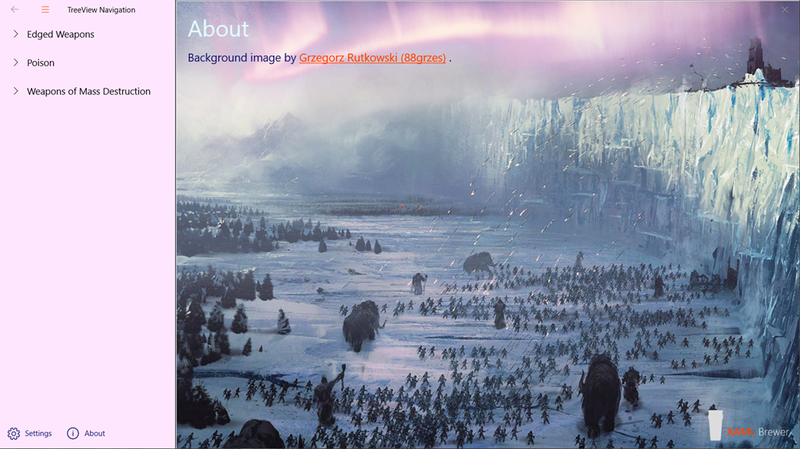 There a a lot of web sites around that create a color palette out of an image that you upload. 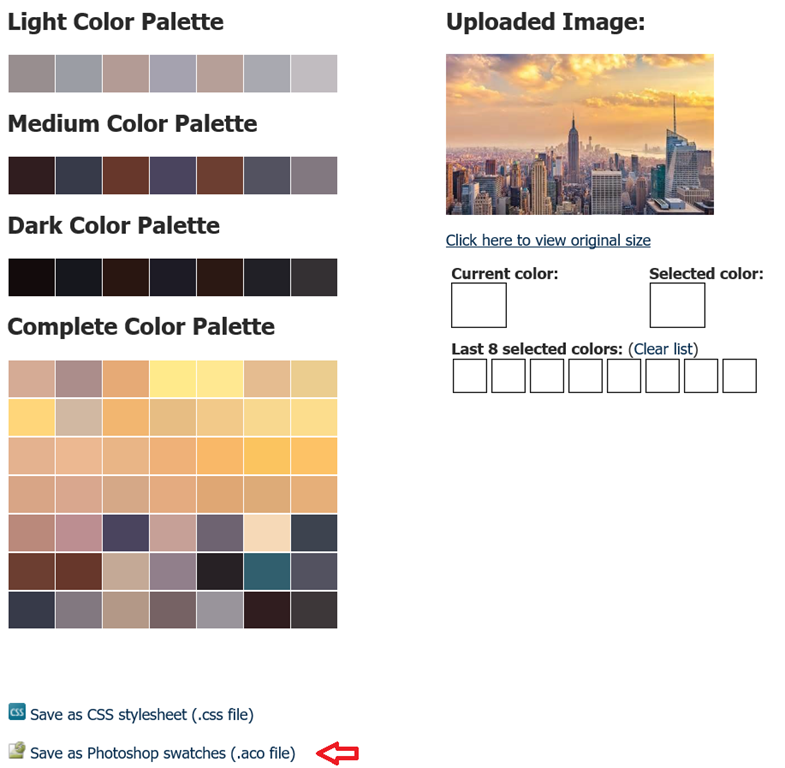 The site not only returns the colors of the calculated palette, but also links to related color schemes that are stored in the libraries of Adobe Kuler and ColourLovers. There’s also an API for all of this. The export format for Pictaculous is … Adobe Photoshop Color Swatch. With the image-to-palette approach you rely on the inherent beauty and harmony of nature. Well … more probably you rely on the talent of a photographer, artist, fashion designer, or film maker. When they create an image, they do that with a color palette in mind. That palette is based on … the color wheel. Here’s a nice introduction to cinematic color design, and there are more examples at MoviesInColor (which unfortunately has no export feature). Themes that are generated by CSS Drive can be saved as CSS or ACO. 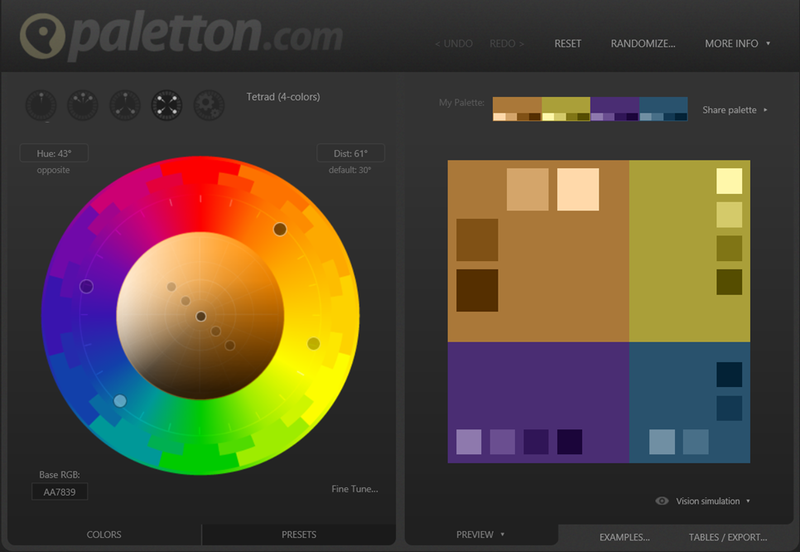 Of course you can also get a professional graphic designer to create a color palette for you. The odds are very high that he or she will come up with an Adobe Color Swatch. 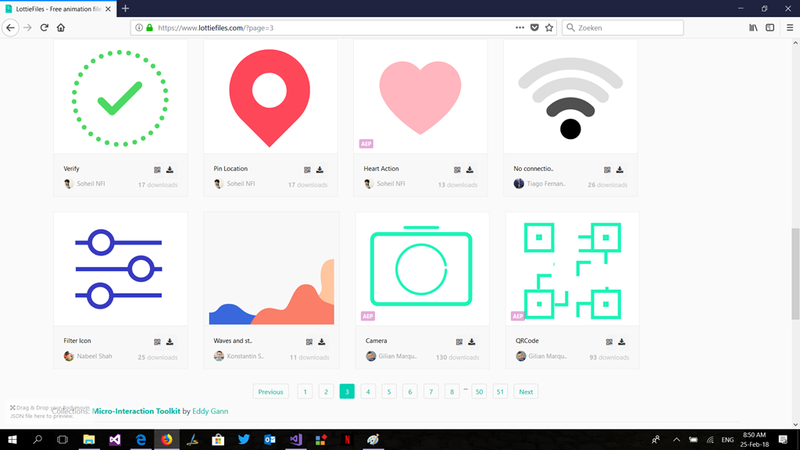 That’s also what Google’s Material Design’s designers have done: you can download all of their color palettes right here. It should be no surprise that this is … an .aco file. 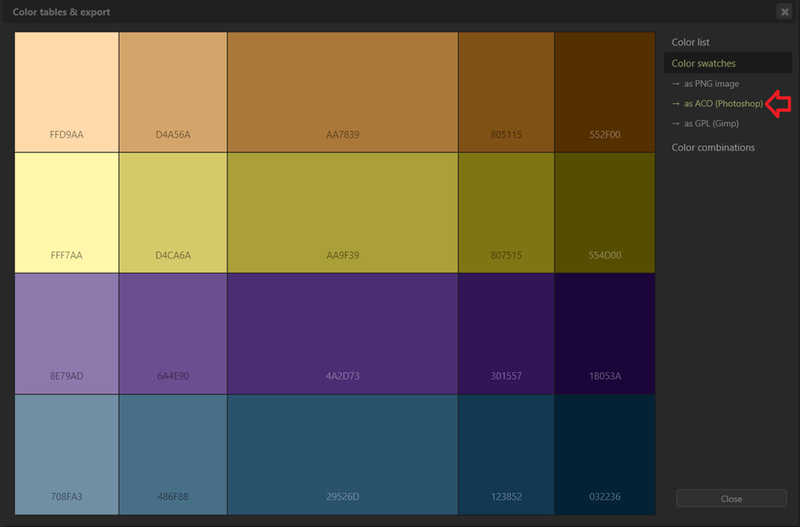 I was getting tired of copy-pasting individual hexadecimal color codes out of HTML, and into XAML. So I was pleased to discover that they all support the .aco format. 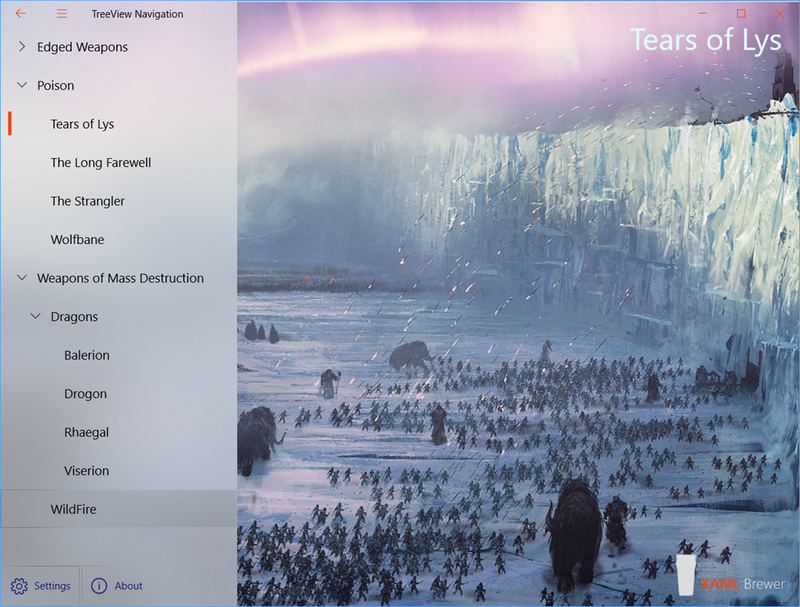 The next step was building a Universal Windows Platform app to transform the list of named colors in a Color Swatch into a list of XAML SolidColorBrush definitions. 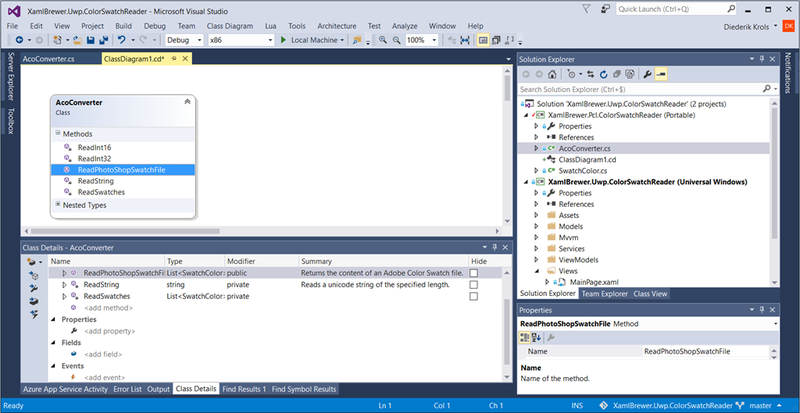 The C# code that reads the color swatch content is written by Richard Moss, and described in this excellent article. I just copy-pasted the algorithm out of its Windows Forms application into a stand-alone Portable Class Library. So it can be called now from any .NET environment, including Xamarin. I removed the references to File and Color from the original code (they don’t exist in PCL), and stored the algorithm in its own class. The AcoConverter class has only one public method –ReadPhotoShopSwatchFile– that takes a stream –the content of the .aco file- and returns a collection of SwatchColor – a small helper class. I also created an UWP app that lets you select a Color Swatch through a FileOpenPicker, visualize the palette, and export it to a list of XAML SolidColorBrush definitions through a FileSavePicker. The source code lives here on GitHub. 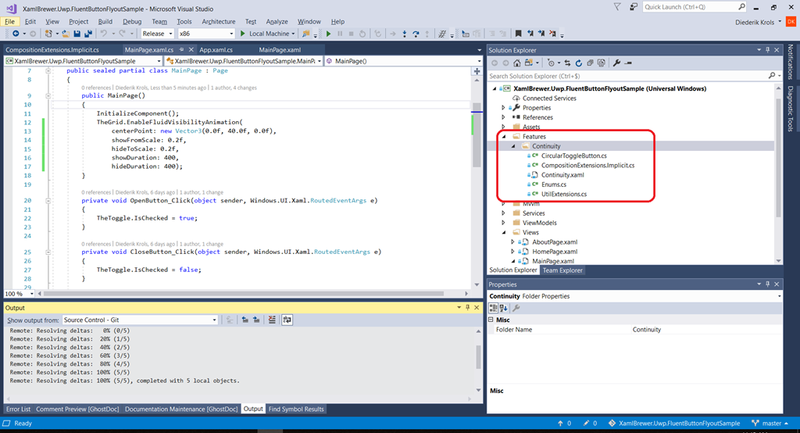 As already mentioned, the core logic is in a PCL project, so it can be called from any .NET environment. 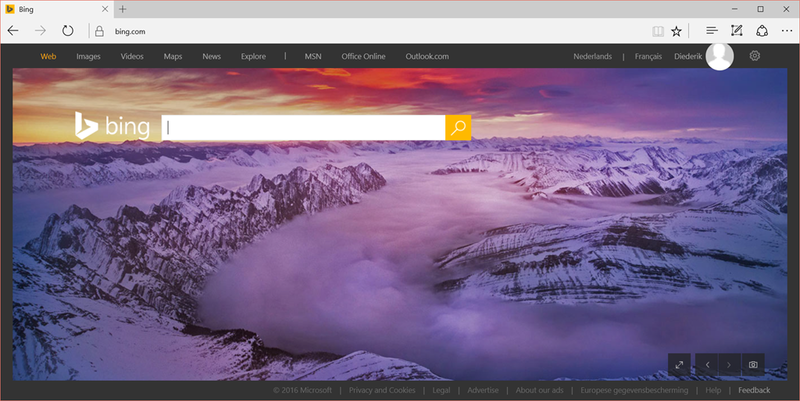 This entry was posted in PCL, UWP, UX on January 10, 2016 by xamlbrewer.